Managed service providers have had an influx of lawyers seeking mobility for their law offices. Lawyers are not known to be the quickest professionals to acclimate to new technologies. 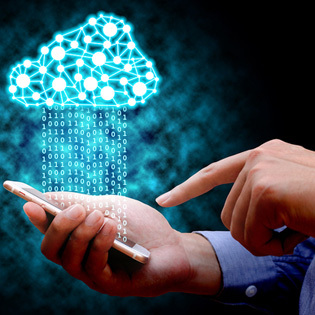 However, when it comes to the cloud, and the mobility offered by the cloud, they are on it. Like it or not, the smartphone on your desk is powered by the cloud. Many lawyers have found cloud technology to be an effective tool in their everyday business lives. Accessing data from the office no matter where you are is a powerful tool. According to Oregon State University, Nicole Black of California and Samantha Thomas of North Carolina have both reported being in the court room and having a judge state that their order was not filed. In both cases, they were able to access the time-stamped order from their iPad and show the judge that it had been filed by the correct due date. This is just one example of the power of mobile cloud computing. Accessing files is just one of the many things lawyers can do from their tablet or smartphone. Full Time Access – You have access to your office at any time during the day and night. Did you forget something at the office? Well, there is no need to wait till tomorrow or drive all the way back for the file. Just connect to the Internet and you are there. Predictable Monthly Fee – You pay a nominal fee per month and everything works for you. There are no clocking extra hours if the server goes down, or paying overtime because IT was not able to get the upgrades finished on time. Initial Setup is Fast – Your managed service provider already has everything ready for your office. All you have to do is meet with them, tell them your needs, and you can be up and running the next day. No IT department to worry about, no purchasing of servers and other hardware, no worries if you are purchasing the right software. The mobile lawyer has learned how to use technology for their benefit. These lawyers are the ones that are always connected, in the know, and prepared for every situation no matter when or where it happens.